Partners in business, as well as companions on the golf course, Andrew Chan and Maggie Chou of Pacific Union International share an approach to real estate that is equally compassionate and competitive. Together, they make up The Andrew & Maggie Team, a uniquely dynamic duo who can handle a full range of real estate projects that come their way. Drawing from the same code of ethics when it comes to advocating for their clients, Andrew and Maggie’s strength and camaraderie are perhaps best illustrated by the ways in which their individual talents complement one another. Having 15 years of practice, Andrew has acquired a rich command of the industrial and commercial arena, from Chinatown to San Gabriel Valley. He has been trusted with some of the largest sales in the area, including the former manufacturing facilities of Sriracha—250,000 square feet that sold for $22.5 million in 2013 - one of the most note-worthy sales recorded in the San Gabriel Valley that year. Following his success and favorable rapport, Andrew’s clients began to seek his services with all facets of the industry, leading to an increased involvement in residential real estate. However, Andrew’s passion was always in industrial and commercial properties, which is why his professional storyline and that of his business partner came to a natural meeting point. Prior to becoming a full-time realtor, Maggie was a banking professional for 18 years working for the most trusted names in the financial world, including Citi and First Republic. Maggie represents the complete financial package, specializing in both passive real estate investment, such as buy & hold properties for income generation, as well as managing rehab projects to generate high yield short term gain. Additionally, Maggie has had direct skin in the game since 2009. Her background in flipping and reimagining projects has given her valuable insight as to what it’s like to walk in her client’s shoes. 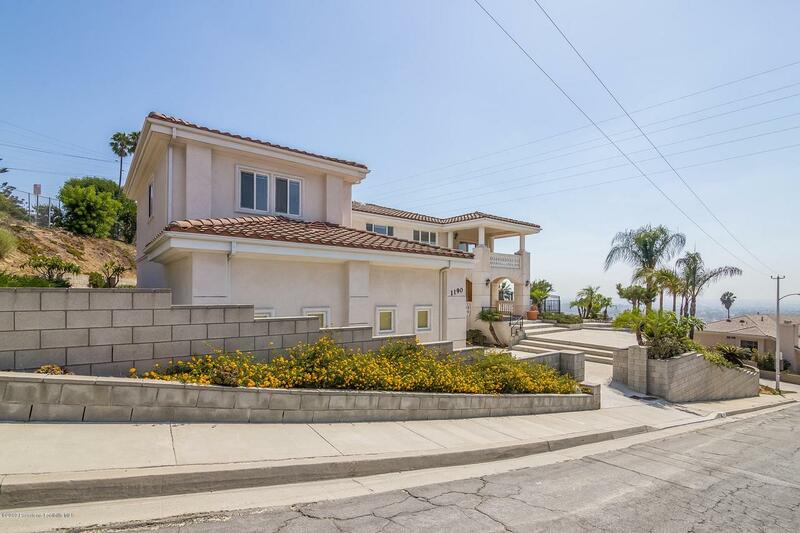 Located in the serene neighborhood setting of Monrovia, at the base of the San Gabriel Mountains, is this single-level, traditional-style residence offering a formal living room, dining room that flows into the family room, three spacious bedrooms and two full baths, all in 1,580 sq. ft of comfortable living space. This well maintained home was recently remodeled with many expansive upgrades, including a whole-house fan system, whole-house speaker system, A/C condenser, two 50 gallon water heaters, a pro-kitchen with DCS brand 48' range and hood, refrigerator and dual dish-washing drawers. French doors from the dining room opens to the home's sun-drenched backyard wherein lies a covered patio, sparkling pool and spa, where one can enjoy al fresco dining and entertaining family & friends for years to come, the home is complete with a pool house furnished with a new wall A/C unit, wine cooler & mini-refrigerator. Pool house is approximately 300 sq ft and is in addition to the total square footage of 1,580. This California ranch-style residence, sitting on a 7,604 sq. ft. corner lot in the quaint city of Sierra Madre, has been recently remodeled inside and out to offer a modern aesthetic together with luxurious details. A stepping stone walkway leads past the beautifully landscaped front yard to the single-story, 3-bedroom homes entrance wherein lies 1,718 sq. ft. of interior spaces graced by engineered wood floors and crown molding. The gourmet kitchen opens up into a living room that leads directly out onto the tranquil backyard and ample herb garden. Tucked away in the San Gabriel foothills yet close to the energy and culture of the big city, Sierra Madre thrives upon the friendliness of its neighbors and love for the outdoors. Along with the convenience of a 2-car garage,this home is located one street over from the city of Arcadia and situated nearby the Sierra Madre Recreation Center, community pool/tennis courts, as well as highly-ranked Sierra Madre Middle School. Situated on a quaint, tree-lined avenue in the charming city of South Pasadena just moments from the Mission District and Old Town is this single-level, Mid-Century home encompassing 1,036 sq. ft. of traditional-style interior spaces. In addition to fresh exterior/interior paint, the residence offers three bedrooms and one bathroom, one of the bedrooms has a door that opens directly to the terraced backyard. The living room, which is open to both the kitchen and dining areas, features a vaulted ceiling and wood-burning brick fireplace with raised hearth. An attached, 1-car garage includes a work area, utility sink, and laundry for added convenience. Centrally located in the West San Gabriel Valley, South Pasadena is known for its outstanding public schools, small town atmosphere, and historic homes while providing easy access to downtown Los Angeles.